Carrie Brown is the author of five novels – her most recent novel is The Rope Walk (Pantheon, 2007) – and a collection of short stories, The House on Belle Isle. Her other novels include Rose’s Garden, Lamb in Love, The Hatbox Baby and Confinement. She has won many awards for her work, including a National Endowment for the Arts fellowship, the Barnes and Noble Discover Award, the Janet Heidinger Kafka Prize, and The Great Lakes Book Award. She has also twice won the Library of Virginia’s Fiction Award, and her novel The Rope Walk was chosen as the All Iowa Reads Selection by the Iowa Public Library. Her work has been translated into several languages and anthologized in New Stories from The South, and her novels have appeared on the Best Books of the Year lists from The Christian Science Monitor and The Chicago Tribune. 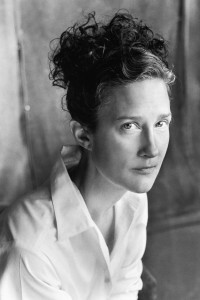 A frequent book reviewer for newspapers including The Washington Post and The Boston Globe, her short fiction has also appeared in journals including One Story, The Oxford American, The Georgia Review, Glimmer Train, and Blackbird. She teaches Creative Writing at Sweet Briar College in Virginia alongside her husband, the novelist John Gregory Brown. She has also taught at the University of Virginia, where she was a recipient of the Henry Hoyns Fellowship, and at the University of North Carolina-Greensboro. Click on an image to buy the book!